Reading labels is important for managing food allergies. It is not possible to know if an allergen is in a food just by looking at it. Allergens can be found in places that you don’t normally expect to find them. Also, food companies may change ingredients without telling consumers. This is why it is so important for you and your child (at the right age) to read labels before eating a food. Two page handout reviewing essentials of how to read a label. Read the label before serving a food even if it has been “safe” in the past. Remember that ingredients can change without notice. Read ingredient lists carefully from start to finish. Food companies do not have to make allergens stand out in any way (e.g. bolding, italicizing, or underlining the print). Do not buy a packaged food product that does not have an ingredient label. If you are not sure about a product, call the company to find out if it contains an allergen. Do not buy food from bulk bins even if they have labels on the bins. Shoppers may have used the same scoops in different bins, and this can cause cross-contamination. Be cautious of imported products because food labelling regulations vary by country. Food companies choose when to use precautionary statements. They are not required by law to do this. They can also choose when to put “allergen-free” claims such as “peanut-free” or “milk-free” on packages. Labelling laws may change so check your country’s government website for the most recent regulations. Choose a few food packages from your kitchen cupboards and read the labels carefully. This is an easy way to practice label reading. Remember to look for precautionary statements that often follow ingredient lists. Give yourself more time for grocery shopping so you can read food labels carefully. As you become used to different products, label reading will become a habit and grocery shopping will take less time. Teach all family members and people responsible for feeding your child how to read labels. Children pay attention to what you do. When they see you read labels, they will learn that this is important. Even from a young age, your child can learn how to read a food label with your help. Start practicing when your child begins to read. Practice label reading at home and when shopping. This is a good way for your child to learn skills with you present. Over time, this will become a habit for your child. Praise your child for reading food labels carefully. They should know you are proud of them for taking the right steps to stay safe. Your child can also practice teaching others how to read a food label. 8. Kim, J.S. and Sicherer, S.H. 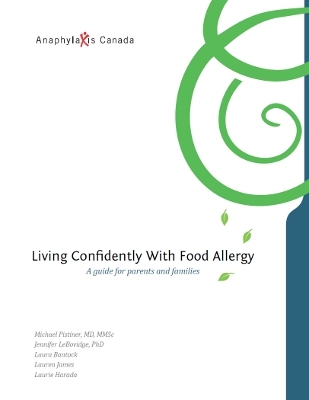 “Living with Food Allergy: Allergen Avoidance.” Pediatric Clinics of North America 58.2 (2011): 459-470. 12. Hefle, S.L. et al. “Consumer attitudes and risks associated with packaged foods having advisory labeling regarding the presence of peanuts.” The Journal of Allergy and Clinical Immunology 120.1 (2007): 171-176.